San Diego is the second largest city in California and has a population of almost 1.5 million. It enjoys a superbly temperate climate and as such is the choice of many people for either vacations or residency. If you are searching for somewhere to reside in San Diego then look no further than right here at Foxwood Apartments. Foxwood Apartments San Diego is one of the premier providers of fully furnished, luxury apartments in this beautiful part of California. You can choose from 130 one and two–bedroom apartments set in a superbly landscaped five acre luxury resort in Chula Vista. Within easy driving distance there are many green areas and parks, including the friendship and memorial parks and San Diego Bay National Wildlife Refuge, where there are many opportunities to photograph the local flora and fauna. We can cater to many different guests at Foxwood Apts; whether you are looking for something for a corporate, family, military, or government residents who wish to stay for at least thirty days, Foxwood has the apartment for you. We also offer vacation apartments. All of our Foxwood apartments are designed with you, the guest in mind, we make your stay or vacation as comfortable and pleasurable as possible, a real “home away from home”. All Foxwood Apartments include a private bedroom, bright and cheerful kitchen, comfortable living room and luxurious bathrooms. Foxwood furniture and decor of the utmost quality to ensure your comfort even further! You can rest assured that not only will your time at Foxwood Apts be memorable; it will also be of the “Ahh!” kind!!! You can expect to find everything you could possibly need here at Foxwood Apts to make your time with us. There will be no need to go shopping for essentials, because you will find them already included. And for our corporate and vacation packages, you really only need bring your toothbrush, as everything else has been provided for you. Take a look at our spacious One and Two Bedroom Apartments! Our corporate apartments include everything you would expect to find in a fully-furnished apartment! Here at Foxwood Apts, we believe in going the extra mile to ensure that your stay will cause no stress whatsoever. Little touches which people take for granted within their own homes are already included for you, such as plants, throw pillows, framed prints and even a built-in hairdryer. We understand how important it is to have perfect corporate housing available as the busy entrepreneur or business person will have little time to think of the small touches which make a house into a home. 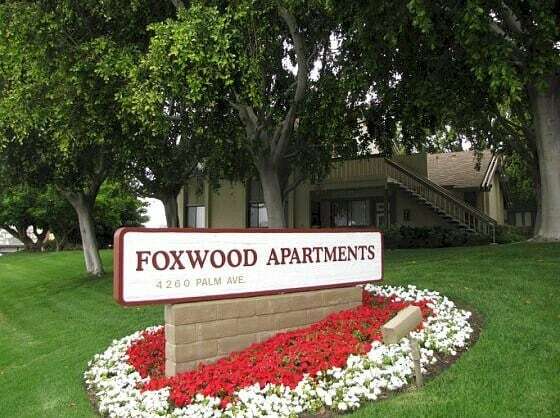 Foxwood Apartments, San Diego has already seen to all of the finer details for you. For all of your long- or short-term military housing needs in San Diego, look no further than Foxwood Apartments.